So this book is the one that helped me realize that Marie Lu is indeed an awesome author. Not that I didn’t realize it with her Legend series, I just didn’t instantly “believe” her. Although I was impressed with Legend series, there were also things I didn’t quite like, especially in book 1, Legend. But now, I can’t help not to put her in my favorite author shelf. I love every single thing in this book. There is no, not even one single moment that feel boring, annoying or out of place. It’s perfect. It’s fast-pace. I couldn’t put it down till I finish it. The story draws me instantly. But to be honest, at first I was kinda skeptical since Marie Lu said the story is like a combination of X-Men and Game of Thrones (at least that’s her goal). For some weird reason I don’t like when a story is described and/or label with another story. It makes me compare each other and makes me think that they are similar. First part of the book, where Adelina discovers her power and her initiation with The Young Elites, I cannot help not to compare it to X-Men. To be honest, for a second I even think that this is another X-Men wannabe while my last X-Men-ish story was an epic fail for me. But I kept reading it because other elements in the story work for me. Worldbuilding is one of those elements. I love it. There is something magical and eerie in the way Marie Lu describes Kenettra. And it was easy for me to be there in the story. The story itself is (sort of) unpredictable with twists I really liked, though in a way it also kinda break my heart. As a story with a bunch of people who have power, of course this book has awesome characters. Their power is different from each other, some more powerful and more handy than others. One thing for sure, I really liked them all. Enzo, Raffaele, Dante, Gemma, Lucent, Michel, Violetta, even Teran. They have their own role and play it well. And not one of them is really good or truly bad. I guess that’s why I really liked them. But it’s Adelina that I love most. She’s badass, but she’s also unpredictable with her dark side. She’s a heroine and at the same time she’s also a villain. These sides bring the best and the worse of her. I just couldn’t tell which side of her I love most since they intertwine each other, though in some part I didn’t like her dark side while at the same time I also understand that she has it and has to embrace it. I think she’s a complex character. And that what makes her stronger and quite different from other heroines I’ve read. I’m sure there are still so many things to tell by Adelina as this is just the beginning of her journey. I can’t wait to experience it with her till the end. -Who are your favorite authors, past and present? I find inspiration from every good book I read. I’d recently finished Justin Cronin’s The Passage as I was getting going on Court, and it inspired me to be more thoughtful about description of landscapes, for example. The Hunger Games series, The Fault in Our Stars and Perks of Being a Wallflower are some of my favorites. Non YA, I think the Gone Girl adaptation was one of the best I’ve seen. -Tell us about your first book. What would readers find different about the first one and your most recent published work? 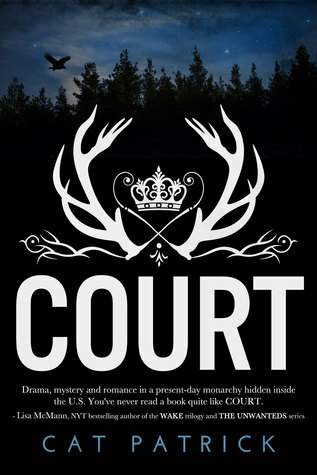 And here’s to remind you again what Court is all about. 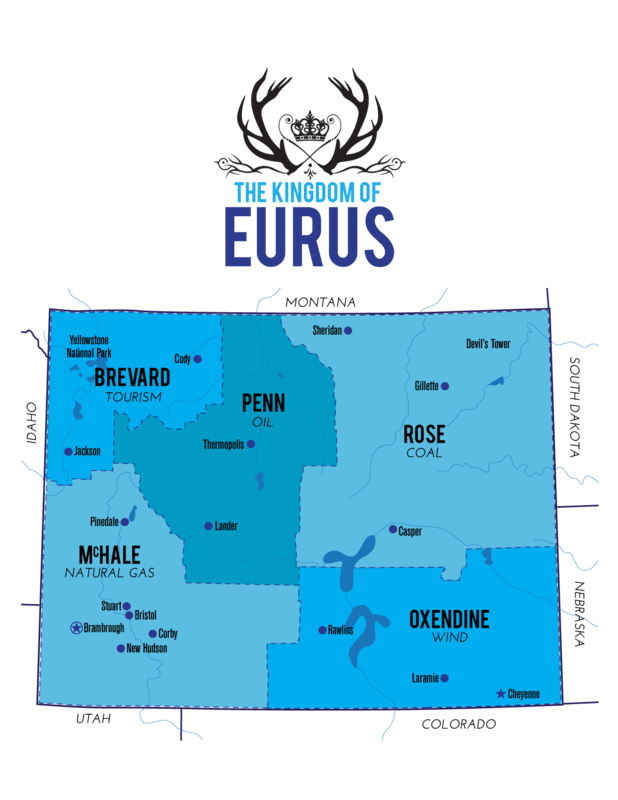 For more than 400 years, a secret monarchy has survived and thrived within the borders of the US, hiding in plain sight as the state known as Wyoming. 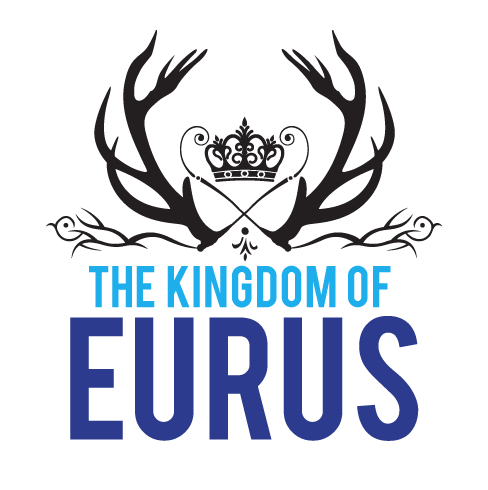 But when the king is shot and his seventeen-year-old son, Haakon McHale, is told he will take the throne, becoming the eleventh ruler of the Kingdom of Eurus, the community that’s survived for centuries is pushed to the limit. Told through four perspectives, Court transplants us to a world that looks like ours, but isn’t. Gwendolyn Rose, daughter of the Duke of Coal, is grudgingly betrothed to Haakon — and just wants a way out. Alexander Oxendine, son of the Duke of Wind and Haakon’s lifelong best friend, already grapples with external struggles when he’s assigned to guard Haakon after the king dies. And commoner Mary Doyle finds whispers in the woods that may solve — or destroy — everything, depending on your bloodline. I think this book has an awesome idea for its story, a story about a hidden country. A country, called Realm, that is disguised as a state in the US. Along the way it was quite hard for me stomach all of the things that make Realm runs. Many questions wandered in my head, the how, what and why demanded answer from the characters, which to be honest at first I was kinda doubt they will provide me the reasonable answers. And the most important question is could Realm even truly exist when there is no one knows about them? The answer is it can be and the characters give me make sense description to answer my doubt and my questions. So then I began to understand and quite believe of what the author told me through her story. And what I love most of it is the story isn’t as simple as I thought before. There are so much going on and more complex than the blurb says. And I really liked it. The story its self is told from third person POV from 4 perspectives; Haakon, the prince; his bestfriend, Alexander; his fiancee, Gwendolyn; and a commoner, Mary. Some of their POV are more interesting than the others. The problem is when I was so glue with one POV I have to wait for a couple chapters to go back to it since the next chapter is told from other perspective. And sometimes it isn’t as interesting as the previous one. So here I read one chapter about the king’s dead and then the next chapter is about a mundane thing like riding a horse. It was (kinda) frustrating since I want to know more about the king’s dead, and its impact. And since I didn’t read this book in one sitting (have to put it on hold to do my works, to have dinner and even to sleep) when I continue reading it I was kinda forget the stories from the previous chapters. So I have no choice to go back to it. However the more I read, it’s clearer that each chapter in fact intertwine each other, even when it seems so simple and all. As for the characters, my favorite is Mary. She feels more real and I can connect easier to her than to other characters. The four main characters have their own virtue and vice, in a way I just couldn’t tell who the good one is and whom I should believe. But one thing for sure is they all seem so naive and trust others easily which kinda bothers me, to be honest. Take Haakon for example, he’s the prince, the heir of the Realm, I think it’s understandable that I assumed he has a prince qualities. Surely his parents and also the council train him for his whole life of how to become a king and his responsibilities, right? But it isn’t what I got. He seems so lost when his father died. At first I thought it was because he’s in shock knowing that he will become a king sooner than later, but then he keeps his unsureness, and doesn’t know what he has to do all the time. This makes him to have to listen to the council which leads him trust them while I think he’s too easy trusting them. As a prince I kind wish he has curiosity and questioning everything that happened around him. But then again, he doesn’t seem have prince qualities in the first place, so he being naive might understandable, I guess. I also think that the way the characters solve the problem is too easy. I felt like suddenly everything falls in pieces and in a rush. Yet I really liked the story and the feel that I got when I read this book. I thought it’s purely fantasy story but when I got to know more about Realm, I felt like it’s also a dystopia world, though the setting is in present time. All in all, I think this is a good story that beautifully written. Before I read it, I thought it’s a standalone but reading the way it ends, it’s clear that there will be another books since Gwendolyn and Haakon’s story haven’t finished yet. And I’ll read their next journey for sure. Hi! Welcome to another blog tour and giveaway. It’s time for a young adult fantasy story, Court by Cat Patrick. I’m so excited because this is my first invitation (from publisher) on NetGalley and it has great giveaway, 2 set signed books (4 previous books) from the author!. Isn’t it awesome? So yeah, I can’t not to accept it. Let’s take a look about this book, shall we? As a child, Cat could be found making up stories like her first book, Dolly the Purple Spotted Dolphin; growing corn in the backyard; or performing with a traveling sign-language troupe. 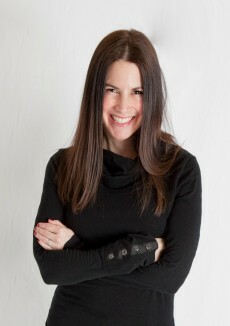 She earned a journalism degree from the University of Wyoming and a master’s degree from Boston University, and worked in public relations for fifteen years. She lives outside of Seattle with her husband and twin daughters. I don’t think I can tell you how much I was so eager to get my hand on this book. I started the series with a doubt. Celaena has potential but she has things that I didn’t quite like both in Throne of Glass and The Assassin’s Blade. And then I read Crown of Midnight, it literally changed my perspective on her and the story. 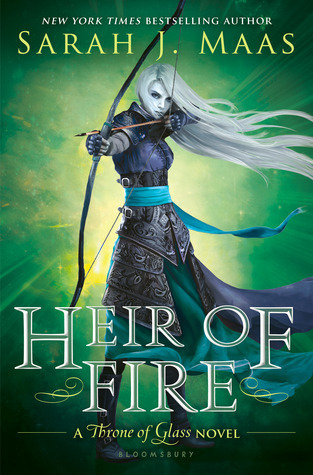 I loved it and counted down till the release of Heir of Fire. Then I finally got the book. I read it and there are a lot of things that remind me of the Lord of the Rings (book but mostly the movie). To be honest, I was quite surprise about it. There were things that also reminded me of LoTR in Crown of Midnight, but I thought I won’t get the feel again here. I tried to ignore it just like what I did in Crown of Midnight. The problem is Crown of Midnight has so much more to offer than the similarities of other epic fantasy story. So in a way I can keep my focus on it, rather than the similarities. 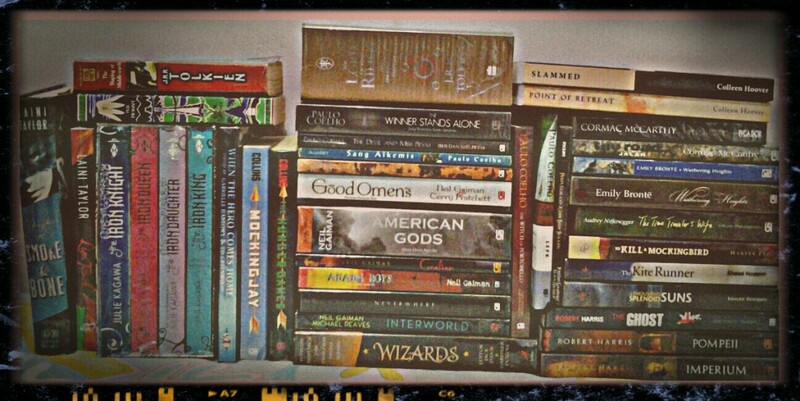 But here, I couldn’t ignore it since there is barely anything in more than half of the book. It was boring. I was bored to death I kept putting it down and fell asleep every time I tried to read it. I think the author tried too hard to make the book become a more complex epic fantasy story she forgets to add something to engage readers, at least me, to the story. This is indeed an epic fantasy book, with all of those descriptions, worldbuilding, the setting and even the characters own languages. But somehow, it’s just all about those things, there isn’t much thing that happen in it to intertwine each one of them. There aren’t much happen with Celaena and other characters to the story. It’s all about building the power, the abilities, and allies but forget to add something to make those building process more interesting. However, I was quite surprised in the last 40% of the book. When 60% of the book was so boring, I didn’t have any hope to the story. I just read it to finish it. I can’t tell you how happy I am when the author finally showed me what she didn’t show in first part of the book. The slow-pace story and many POVs that keep changing that seem didn’t connect to one and another, especially the witches POV are finally pick up and I can’t help not to enjoy it. I think in that last 40% is where things finally happen and there are tensions in it. I especially liked that most of characters here show their vulnerability. It makes them more real and they grow as characters. To be honest, I was thinking to dnf it, I really did. If it wasn’t my love for Chaol, I might not finish it. Now I’m glad that I keep reading it because that last 40% turn my thoughts about this book, from didn’t like it to really like it. 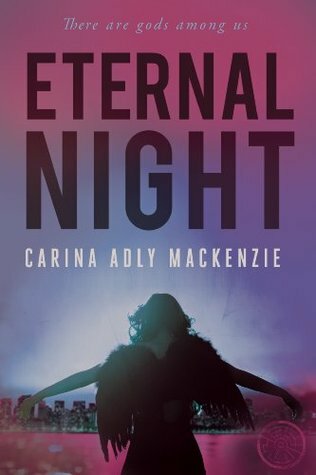 Carina Adly MacKenzie, blogger and television critic, has penned a steamy, romantic, and ultimately redemptive story of forgotten gods, the persistence of hope, and the power of love to save us. I love reading about mythology. The god and goddesses that is mentioned in the blurb attracts me to request this book in the first place. So you see I thought it’s about Greek mythology or other mythology with gods and goddesses, but what I got is not really who they are in mythology as they act and think more human than gods and goddesses I’ve read. They are descendants of gods and goddesses but they slowly turn into human the more they spend their live on earth. To be honest, I kinda regretted it as I didn’t get the mythology I really look forward when I started reading it. I just wish they can show me that they are indeed once gods and goddess while what I feel is more mortal than immortal being. But on the other hand I guess it means that the author did a good job describing the human side of the gods and goddesses in this book, though it was kinda hard for me to believe that they are godly creatures. The story is told from 6 POVs, the last (known of) remaining gods and goddesses on earth. At first it overwhelmed me because I felt like I have to guess who is who, which one of them is which god/goddess, so that I can picture them easier. They don’t reveal themselves all at one. Hence it makes the story more interesting. Each one of them has their own stories. Their past somehow connect to one another. I especially enjoyed this part as I can see them a bit more immortal than in their life now. I think this book has an interesting idea but along the way it lack something, not to mention that there are a lot of typos and need more editing. I usually can ignore it as English isn’t my first language. So who am I to judge it but in this case it keeps catch my attention, even for my untrained eyes. And the fact that there are things that happen too coincidence and characters who seem can’t set their priority well were kinda annoyed me. But over all I quite enjoyed reading it. 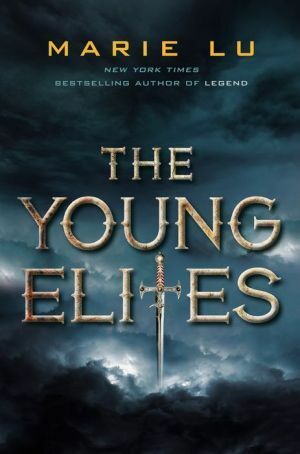 Some readers recommended this book to readers who love Throne of Glass The blurb says it’s about element possession which reminds me of Elemental Series by Brigid Kemmerer. Therefore, I didn’t have high hope to this debut, though it also intrigued me and made me requested it on NetGalley. It indeed reminds me of both Thorne of Glass and Elemental series. There are moments that made me think of them. Fortunately the similarities aren’t that much. It has its own story. And surprisingly is a very good one. For one thing I love Breena Perdit, a 16 years old girl who lives in a small town with her dad who runs a tavern. “Got a name?” I ask. I bite at a frayed nail. Maybe he’s a wealthy merchant’s son. The fibers in his cloak are certainly finely wrought enough. “Breena,” he repeats thoughtfully, finger to his chin. She’s smart, bold, witty, knows her priority and stick for it and doesn’t care much about her appearance nor her hair and her dress. […]I sigh, running my fingers through my hair to shake out any excess moisture. They despair over the length of it—or, rather, the lack of length. Apparently, it’s the highest of fashion crimes for a woman to have such short hair. A kickass heroine qualities that I love. Her life turns upside down when she eavesdrop a conversation between the three Adepts, people who possess an element power. Soon she discovers everything isn’t what she thoughts before. As a character, she grows so much throughout the story. From a girl who has been known as Barmaid, Bree or as she said when I got my most shining personality on, Brat, to someone who befriend with a princess even when she’s so rude to her and a girl who always tries to help her dad escape from the tyrant king. In a way she’s also naive. There are times that I want her to stop waiting for things to happen and just act. But all of her action are make sense and understandable since she barely knows anything. Thus, I can accept her naivety and don’t feel annoy by it. Aside Breena, I love her dad, Ardin, and their relationship. Their father-daughter relationship feels warm and they treat each other equal. He keeps everything to himself, even when she begs him to tell his story. It makes the story more interesting. Most of the times everything is still unclear and is revealed slowly which make me keep reading it. As for other characters, they are growing in me slowly but surely. Aleta, Princess who is betrothed to Prince Caden, the heir of Egarian, is so annoying I want to throttle her while Prince Caden is easier to like from the first time he enters the story. And then there is Tregle, an Adept who capture Breena and her dad along with his mentor, Lady Katerine. They play their role perfectly. I also love the way the author creates the story and the world building. It’s well written and is describe well. 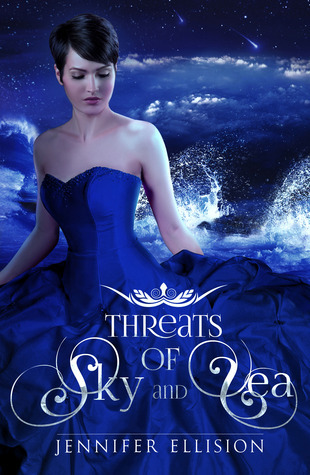 It’s easy to imagine Breena’s world and the elements that are possessed by the Adepts. I especially liked the way they called Adept who possessed an element. Torcher for fire Adept, Rider for air Adept, Shacker for earth Adept and Thrower for water Adept. I think it suits well with each elemental. Although some readers say it has lack of romance, I don’t mind at all because that way I can see that Breena hold her priority high. She doesn’t let anything distract her, even if it’s her romance. But worry not, the story is still appealing. There are romantic moments between the characters, though compare to any other YA fantasy, it indeed has less romance. All in all, I really liked it and can’t wait to read the sequel.